Before we look into how to connect your QuickBooks application with BluBilling, you need to make a decision on the level of detail you would like to export out of BluBilling into QuickBooks. The Summarized Journal Entry Mode: As the name suggests, summarized transactions are exported into Income accounts in QuickBooks. QuickBooks's Chart of Accounts plays a very important role under this option. When creating Charges in BluBilling, you would enter the Accounting Code(from your Chart of Accounts) corresponding to the Income account that you would like the charge to be assigned to. Full Synchronization Mode: A more detail oriented mode, where customer level detail will be exported into QuickBooks. Invoices and Payments pertaining to a particular customer will show up under the customer's account in QuickBooks. In this case, the Items List is used in BluBilling to sync up with QuickBooks. When creating Charges in BluBilling, the item list name. 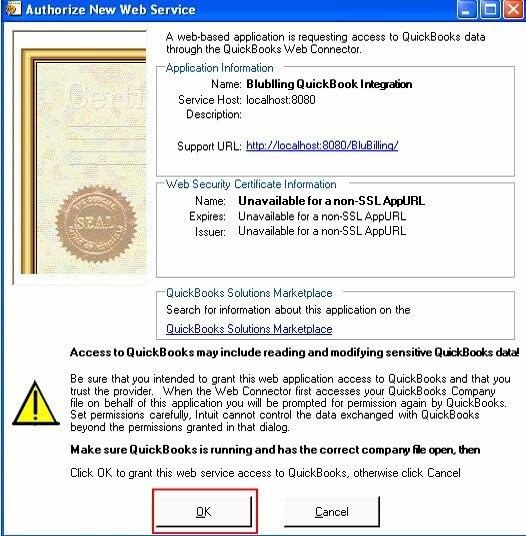 Now to download the QWC file required for the QuickBooks Web Connector. [Note: If you have been sent a QWC file by our support staff, then you may ignore this step and move on to Step# 3 below]. 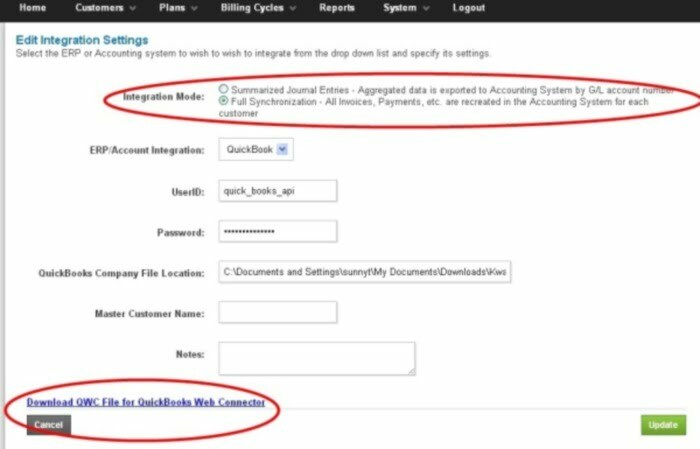 Else, from the BluBilling website, click on the "Billing Cycles >> Accounting/ERP Integration" menu, and click on the “Integration Settings” button.From the Settings screen, click on “Download QWC file” link to download the QWC file that will be used to configure the QuickBooks Web Connector (see fig: 1 above). Please enter a username and password that will be used in Step 3 below (this step will create a new “Staff” member with the Web Service API access.) Make sure you remember the username and password. First, make sure you have logged into QuickBooks desktop as an administrator user and that QuickBooks is running. 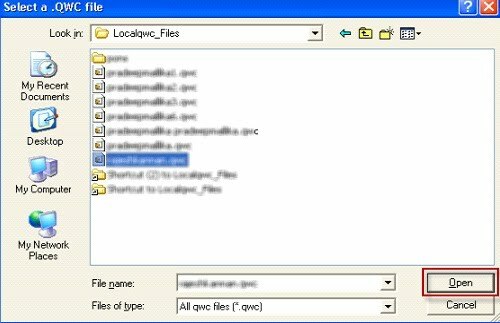 In the Select a .QWC file popup window, browse the .qwc and then click Open. In the Authorize New Web Service popup window, review the application information, and then click OK to connect QuickBooks. 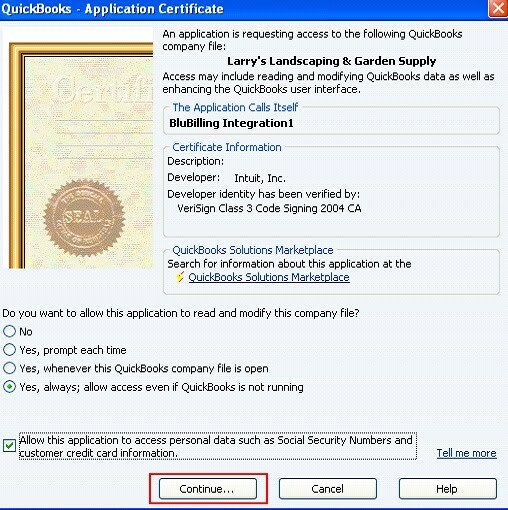 In the QuickBooks – Application Certificate popup window, select Yes, always; allow access even if QuickBooks is not running. Ensure that the QuickBooks company file is the right one that you wish to integrate with. Click Continue. In the Access Confirmation window, click Done. 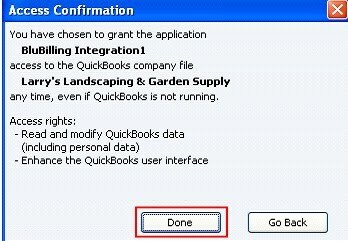 The application will be added in the QuickBooks Web Connector to transfer data. Review the status QuickBooks Web Connector application, select the application's check box, and then enter the Password. Note: The password you would enter is the same as what you entered in the Integration Settings screen in Step 2 above. See Fig 1. With this you have successfully set up your Web Connector and are now ready to Import and Export data depending on whether you are in the Summarized Journal Entry Mode or the more detail oriented Full Synchronization Mode.